AbbVie Contract Manufacturing has been serving our partners for more than 35 years across ten of our manufacturing facilities located in both North America and Europe. Our contract development and manufacturing capabilities span both small and large molecule API including classical fermentation, chemical synthesis and biologics. In addition to APIs, we are offering extensive experience and technical solutions in the area of drug product manufacturing which includes traditional tablet and capsule production with emphasis on DEA controlled drugs, potent, ADCs and hot melt extrusion. Lastly, we can also package your product regionally and also offer prefilled syringe manufacturing capabilities. Combining the focus of a biotech with the expertise of an established pharmaceutical leader, the contract manufacturing business is agile and flexible in its service to companies outsourcing the development and manufacture of drugs. By choosing AbbVie Contract Manufacturing, your team gets so much more than the typical CMO engagement. 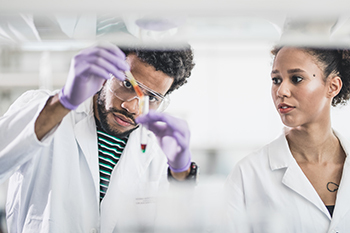 Alongside our state of the art cGMP manufacturing facilities, AbbVie’s partners gain integrated access to deep scientific expertise and processes that have successfully supported many small molecule and biologic medicines through to commercialization. Information about AbbVie Contract Manufacturing Services can be found at www.abbviecontractmfg.com, twitter (@AbbVieCM), LinkedIn AbbVie showcase page (www.linkedin.com/showcase/15091036) or by reaching us directly at 1-847-938-8524. This record has been viewed 2146 times.